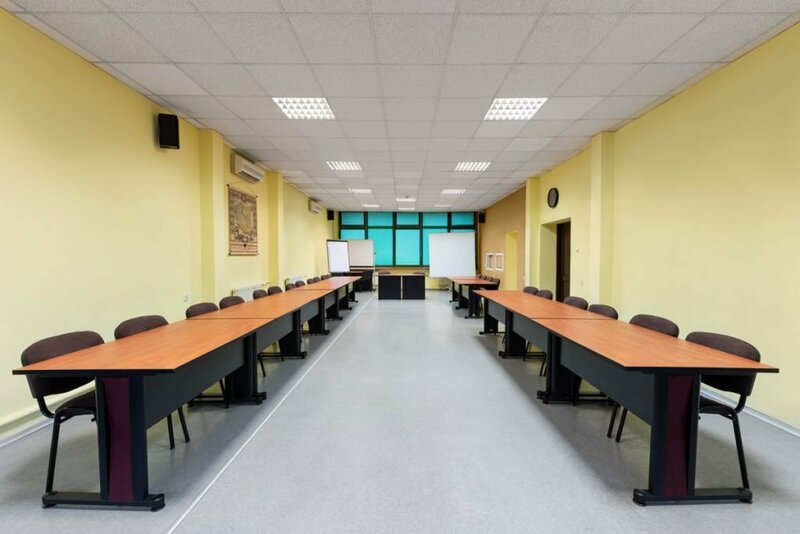 We have a large hall that can accommodate 100 people, also smaller rooms that can serve for training employees or for lessons organized within an education block. 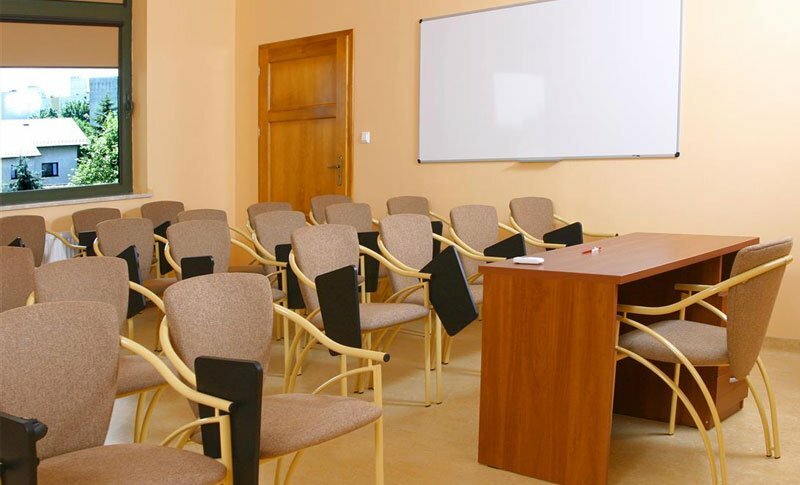 Rooms have necessary equipment to facilitate different types of classes. With an exra charge, it’s possible to rent a laptop and a multimedia projector. 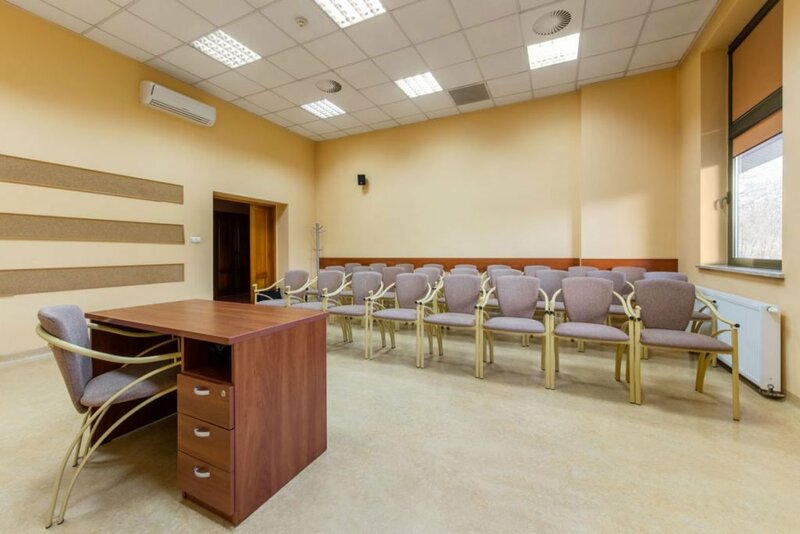 The range of services by our centre makes it possible to match the conference and accommodation offers providing a complex conference-accommodation solution with a full catering option (coffee table, lunch during a conference) as well as accommodation for participants and speakers. Simply, budget training rooms – call us, ask about our offer and save! Excellent quality-price ratio. Perfect during speeches with multimedia presentations. Rows of chairs face the speaker. It’s impossible to assembly tables. The name brings to minds the arrangements in cinemas or theaters; therefore, this type of arangement is well advised. Less popular but giving freedom to the speaker. Chairs and desks face a platform. Participants can take notes or arrange other neccessary tools in front of them. For this type of arrangement, it’s necessary to have more space. 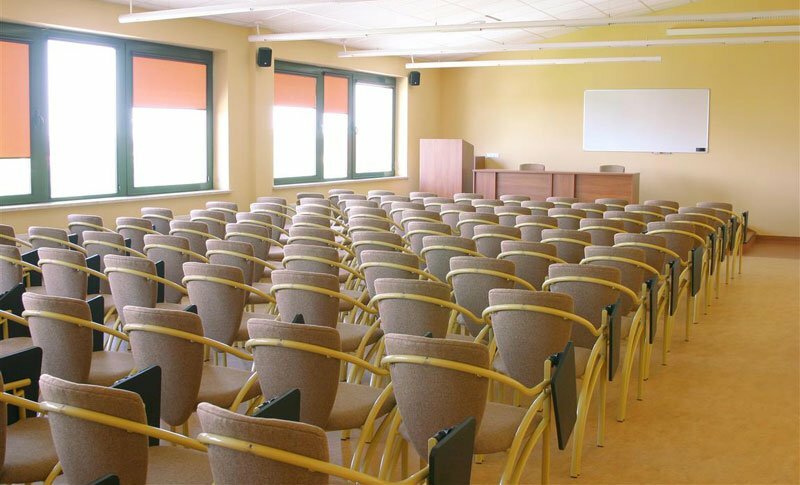 This arrangment is recommended for those who think of organising an official meeting or a special show. This arrangment requires from an organiser to arrange a few tables and chairs in the shape of a letter U. Special guests and speakers should sit at the top of this round table. In this way, they will be well heard and seen by other participants. 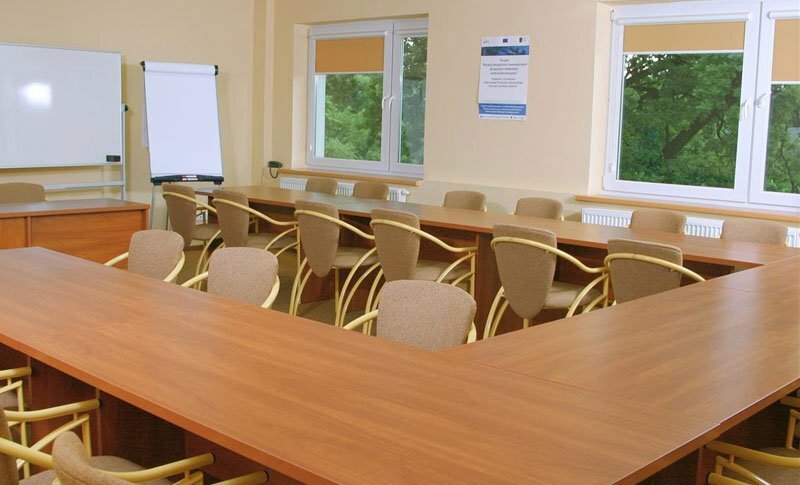 SCSK Optima offers budget accommodation in Krakow. We gurantee outstanding quality-price ratio. Our guests can benefit from a car park, breakfast, free Wi-Fi and LCD tv sets.